Human-caused noise and light can threaten the ecological integrity of the natural environment and diminish our enjoyment of national parks and protected areas. 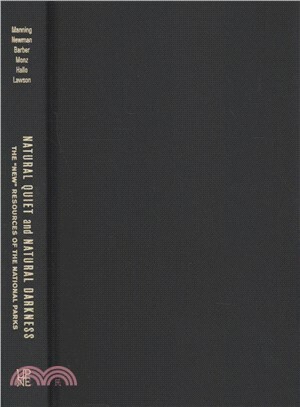 This anthology presents and synthesizes important research that helps inform protection and management of natural quiet and natural darkness. Chapters address the biological, ecological, and experiential components of these increasingly valuable resources. The final chapter develops a series of principles for studying and managing natural quiet and natural darkness in national parks and related reserves. ROBERT MANNING is professor emeritus and founding director of the Park Studies Laboratory at the University of Vermont. PETER NEWMAN is department head and professor of Recreation, Park, and Tourism Management at Penn State University. JESSE BARBER is an associate professor in the Department of Biological Sciences at Boise State University. CHRISTOPHER MONZ is professor in the Department of Environment and Society at Utah State University. JEFFREY HALLO is associate professor of park and conservation area management at Clemson University. STEVEN LAWSON is director of Resource Systems Group’s practice in public lands planning and management.